Arrive at the award winning Singapore Changi Airport. You will be met and transferred to Sentosa Island for check in. Sentosa Island is an idyllic resort island with pristine beaches, world class attractions, sea sports, golf and retreats. Get all set for a fulfilling day that promises laughs, thrills and fun. Embark on a Sentosa Island Tour; Play to your heart's content with your Sentosa Choice Play Pass. Kick start your trip to Sentosa on a Singapore Cable Car Ride, Witness the adventures of Journey 2 come alive right before your eyes through cinematic 4D entertainment that fuses state-of-the-art video projections with wind, water and many other elements for an extraordinary experience. Choose to race thrillingly or cruise leisurely down the trail on the Luge, which is part gocart, part-toboggan. After Luge, board the Skyride and feast your eyes on the panoramic scenery of the city skyline and beautiful coastline. Hop on the Segway Personal Transporter (PT) for an introductory experience on the Segway Fun Ride, a circuit ride full of twists and turns. Overnight in Sentosa. Today, visit Universal studios - The Hollywood movie theme park. Enter the thrilling world of movie magic as you Ride the Movies® on roller coasters and other movie-themed attractions. Be dazzled and delighted by an immersive entertainment experience that brings the silver screen to life. Discover the awe-inspiring world of life in the ocean at the world's largest S.E.A. aquarium and immerse yourself in a magical marine world seen through our planet's largest window to the ocean. Discover and unfold the endless wonders of our blue planet at S.E.A. Aquarium. The evening is at leisure to explore the great shopping and dining experiences at VivoCity and Harbourfront Centre, the multi-concept entertainment hub at St James Power Station. Overnight in Sentosa. 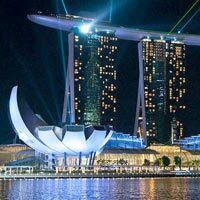 Take the transfer to Singapore city and check –in to your hotel. Later, proceed for the City Tour. 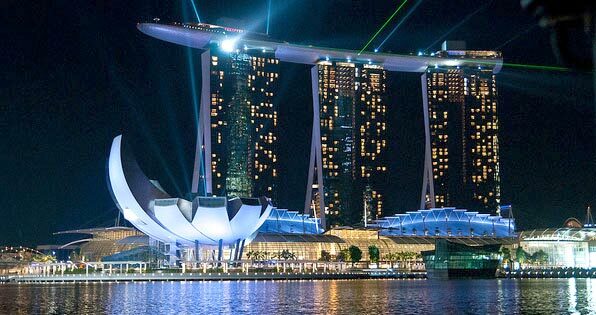 Drive round the Civic District, passing by the Padang, Cricket Club, historic Parliament House, Supreme Court and City Hall, followed by the Merlion Park where you can enjoy the impressive views of Marina Bay. Continue the visit to Thian Hock Keng Temple, one of Singapore's oldest Buddhist-Taoist temples, before driving past Chinatown. Proceed to the National Orchid Garden and finally to Little India. In the evening visit the Gardens by the Bay and watch the sky show of dazzling lights and sounds in the OCBC Garden Rhapsody, which takes place nightly amidst the Supertrees. Overnight in Singapore. Morning is at leisure to finish off some shopping or you can also opt to visit the Jurong bird park. Home to 8,000 birds of 600 species, Jurong Bird Park spans 20.2 hectares of lush greenery within Singapore's model industry estate. . In the evening we recommend you visit the Night Safari. Set in 40 hectares of secondary jungle, it will unfold the mystery and drama of the tropical jungle after dusk with stunning effects. Roam the jungle in the complete safety and comfort of a tram, which takes you through the East and West Loop. On completion of the tram ride, our tour guide will lead you on a walking trail where you will be able to view some animals at closer quarters. Overnight in Singapore. The morning is at leisure to finish some last minute shopping. Later you will be transferred to the airport to board your flight back home or your next destination with sweet memories.